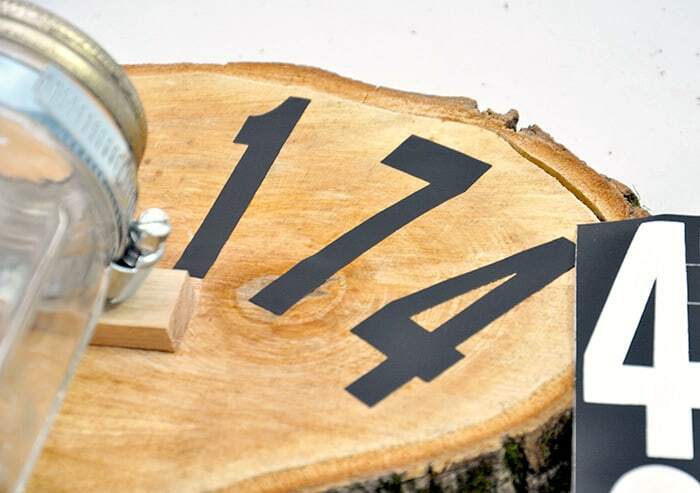 Learn how to make a unique house number plaque from a wood slice – this is such a great home decor project, and on a budget! We have a family friend who owns a tree cutting business. Last year he asked if I would like some real wood slices for any projects. I obviously said yes! 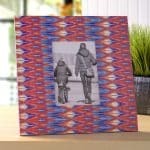 These wood slices have been centerpieces, table decor and studio signs. Our condo really needed a house number sign so guess what came in handy? 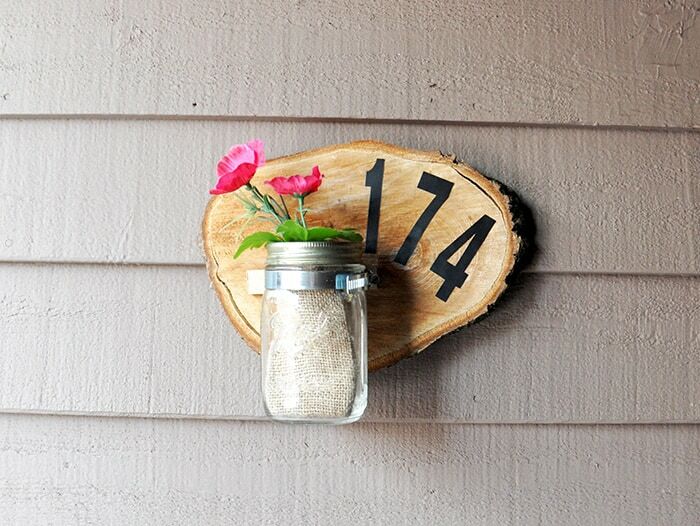 You can create this DIY house number plaque on a budget and with ease. It looks great displayed with different flowers of the season hanging in the mason jar. 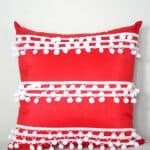 It’s perfect for your rustic or farmhouse themed decor! Layout where you want the mason jar to be. 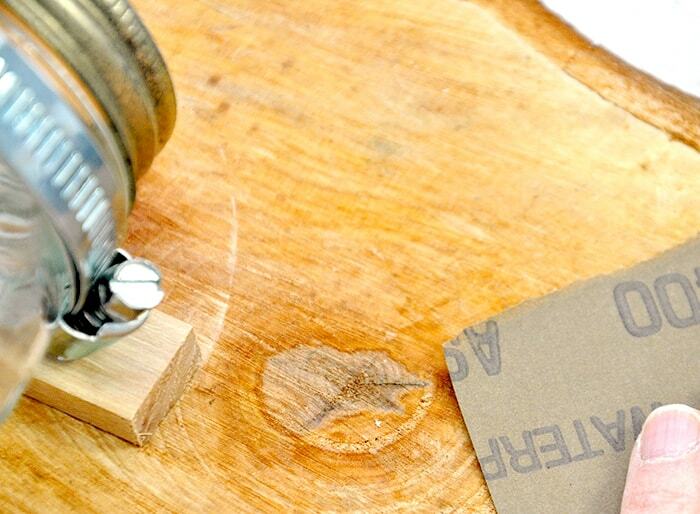 The lip of the jar needs room so screw in a small piece of wood into the wood slice. 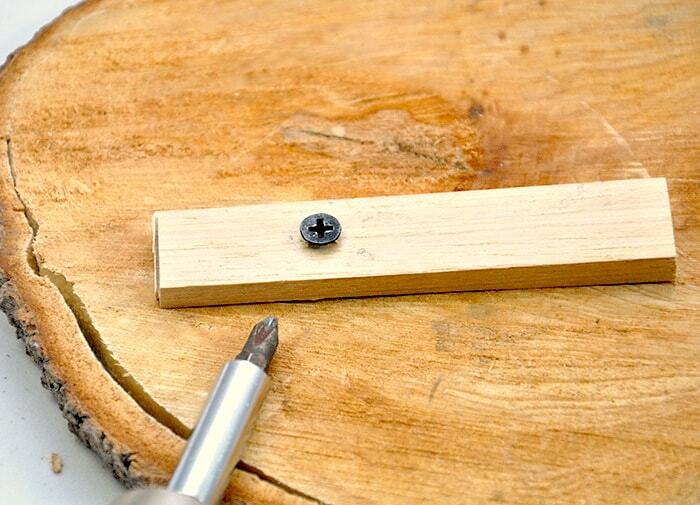 Next nail two thin nails into the slots of the hose clamp into the piece of wood. 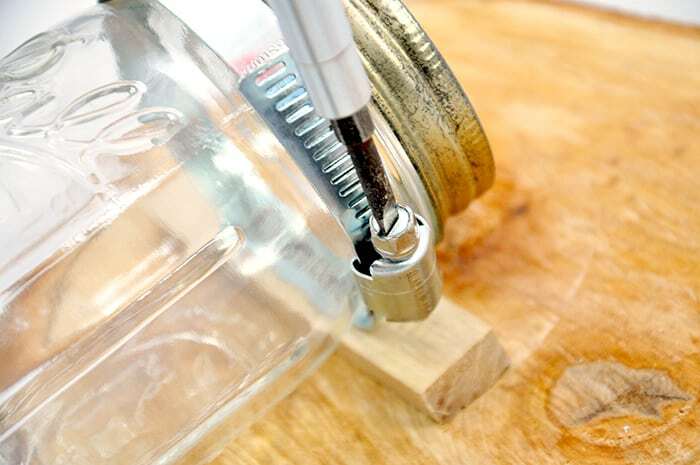 Take a hand screwdriver and tighten the clamp around the mason jar until secure. 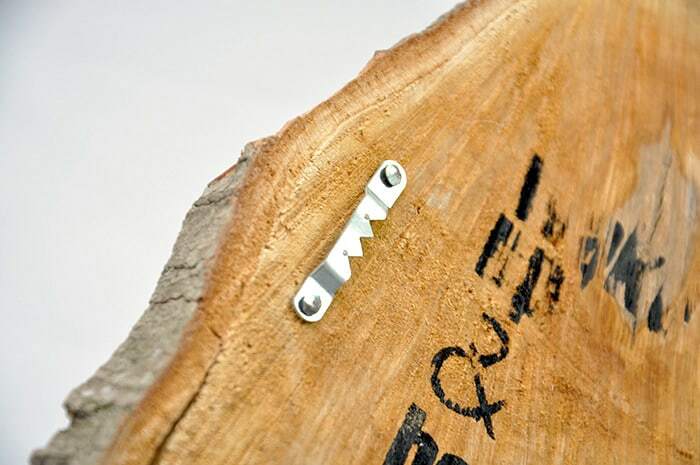 Add a picture hook to the back of the wood slice for hanging. 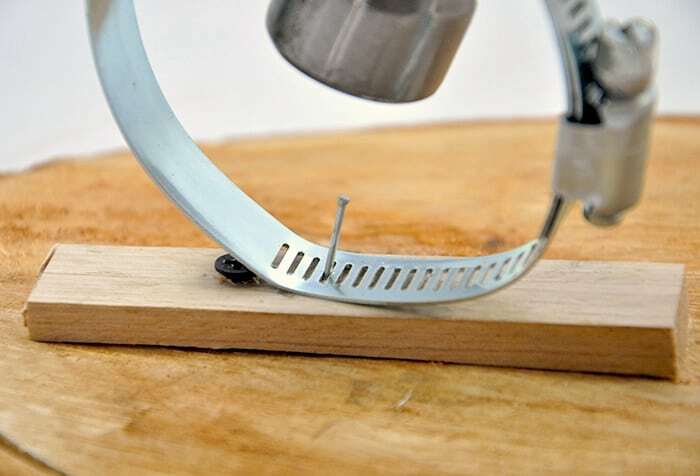 Take some sandpaper and smooth out where the number will be. We had a package of vinyl letters and numbers from Home Depot. 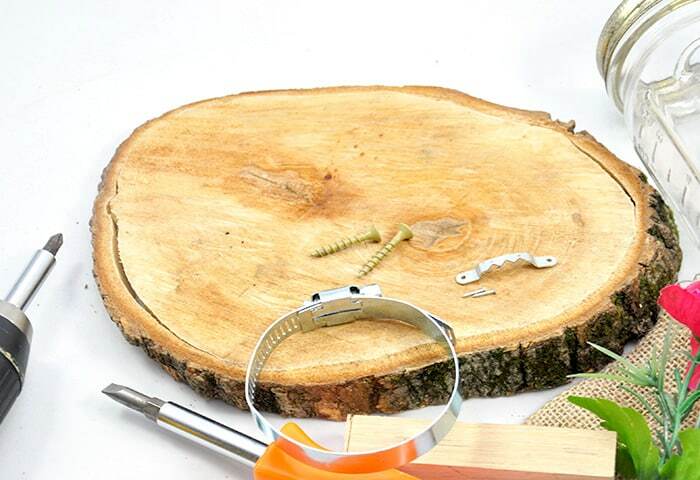 Peel off the numbers needed and stick them on the wood slice in the desired arrangement. Tip: if you have paint, you can draw some freehand numbers on the plaque with a pencil and then paint them in so you don’t to buy the vinyl letters. 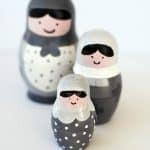 We just happened to have them on hand. 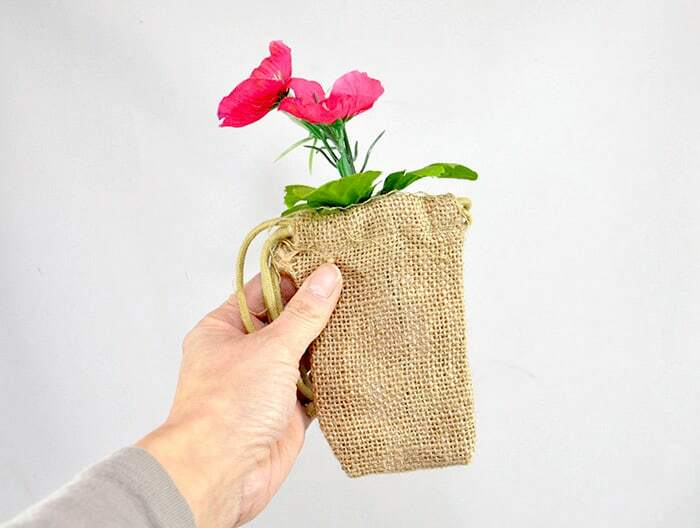 Lastly, wrap a few artificial or real flowers in burlap and place them into the jar. I had a little burlap bag leftover from a wedding that was perfect. 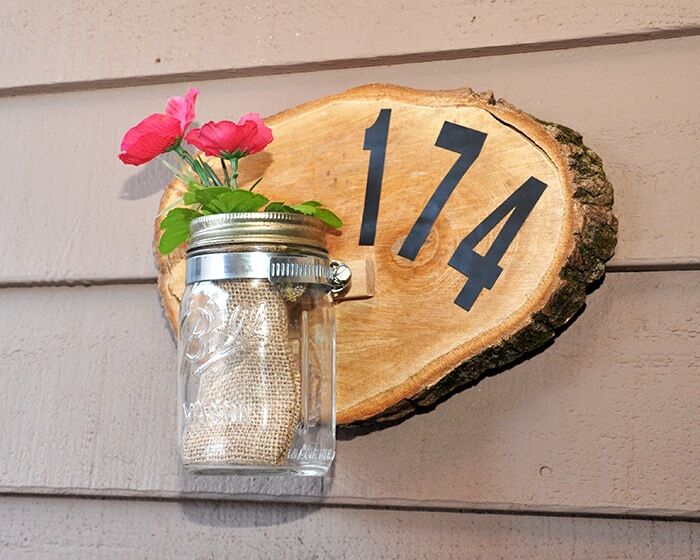 Now hang up your new DIY house number plaque and enjoy some cute spring porch decor!